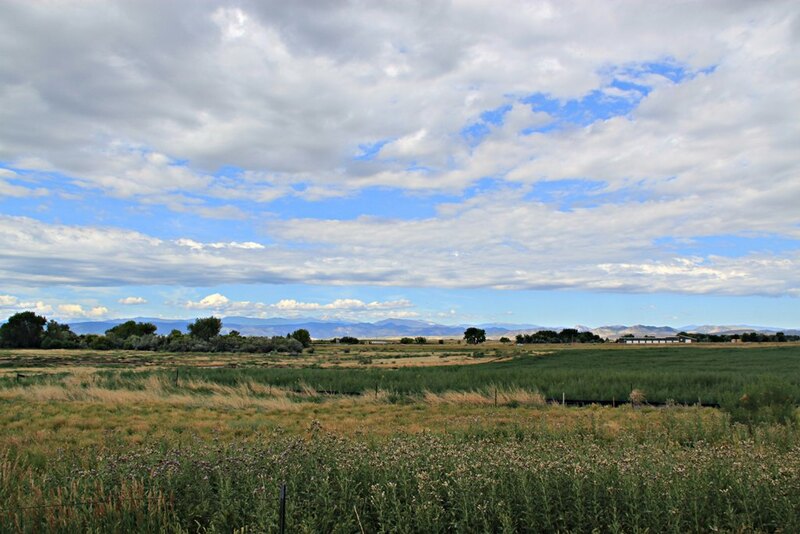 There were a few choices of RV parks for the week we wanted to stay in Loveland/Fort Collins, or so we thought. 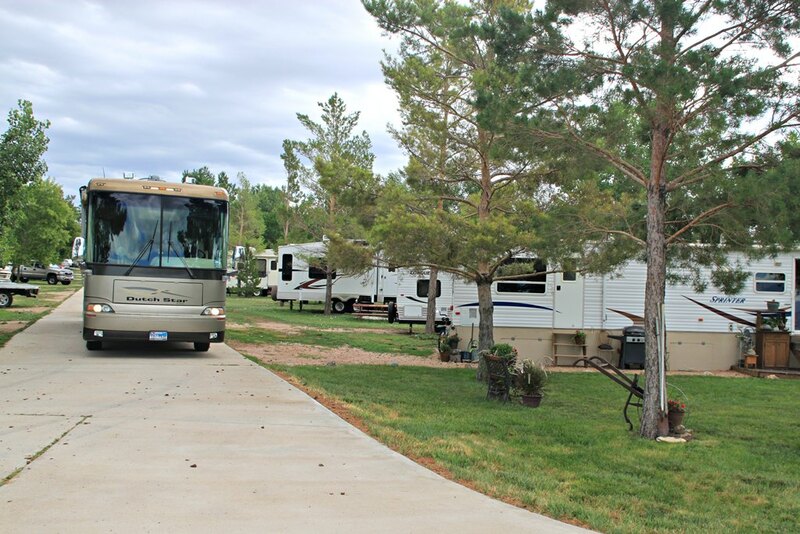 We checked for one of the premium sites on the Big Thompson River at Riverview RV Park in Loveland where we’d stayed a couple of years ago but they were all booked. Well, how about the KOA in Fort Collins that we’d been to before; it is very convenient to town and huge. Surely they have a space for the week. Nope. The old standby, Loveland RV Resort? It’s always a squeeze to get into but we’re getting desparate. All filled up that week. Finally, after a couple of phone calls and mixed responses, we managed to secure four nights at the KOA in Wellington, north of Fort Collins (north of Wellington as well). 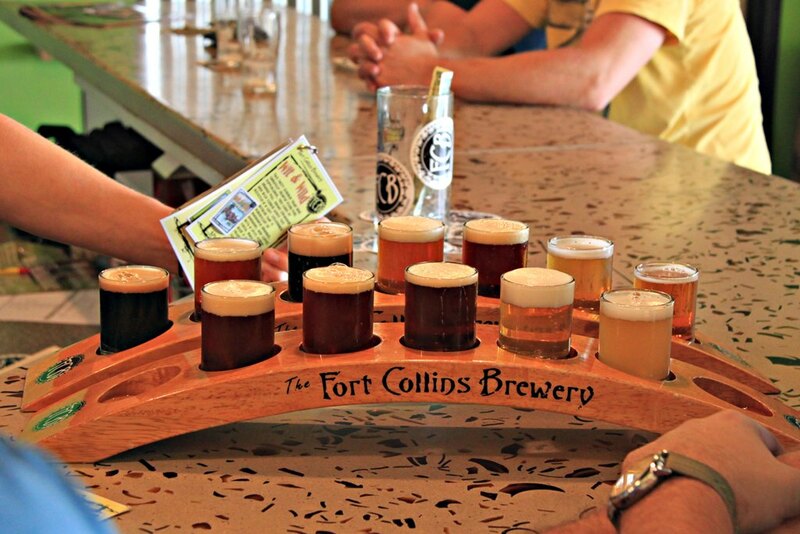 It was convenient enough to Fort Collins to continue our brewery tourism after work on Monday and our first stop was the Fort Collins Brewery. It amazes me that they were able to keep their existence a secret from me for so long because when I asked how long they’ve been around I was told, “ten years”. Wow, have we been missing out! 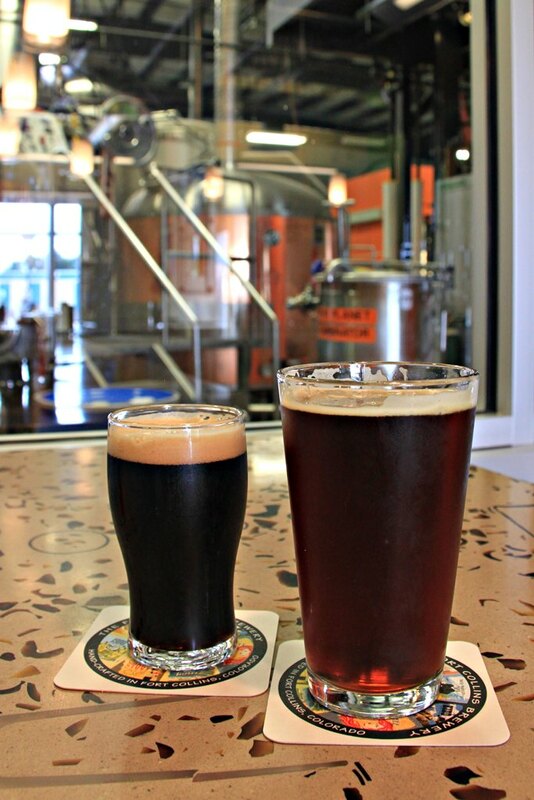 During our two visits here we had their very delicious Chocolate Stout, Red Banshee Red Ale and the Kidd Black Lager. I tried the black lager on the recommendation from one of the brewers who was in the tap room after his work day. He said it was his favorite and it would soon be gone. We like this brewery so well that we even bought a six-pack each of the chocolate stout and black lager to take home. Just a couple of blocks down the street is Odell Brewing Company. We knew it existed because we’ve had some of their beers before but this was our first visit to the brewery. After a couple of tastes Karen had the 90 Shilling Amber Ale and I chose the Cutthroat Porter. I’ve had it before and I’ve had it on draft before, but it always seems better fresh from the factory. 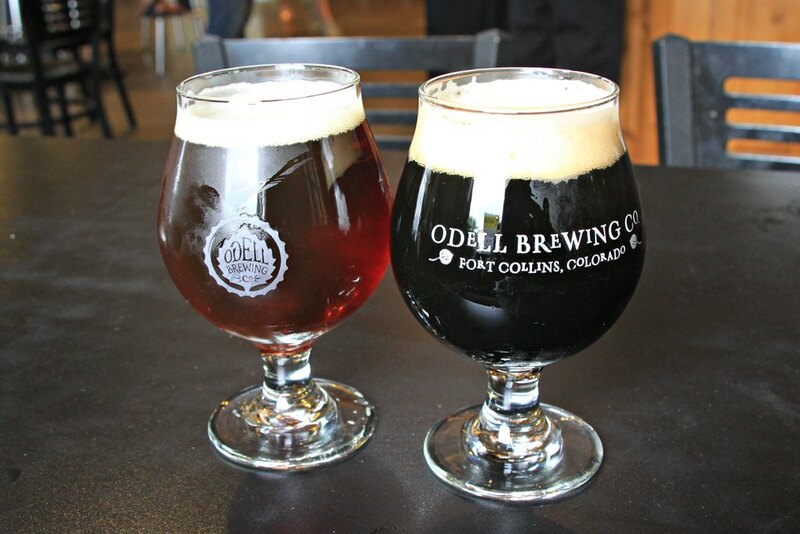 The next day we chose a couple of breweries in Old Town Fort Collins. 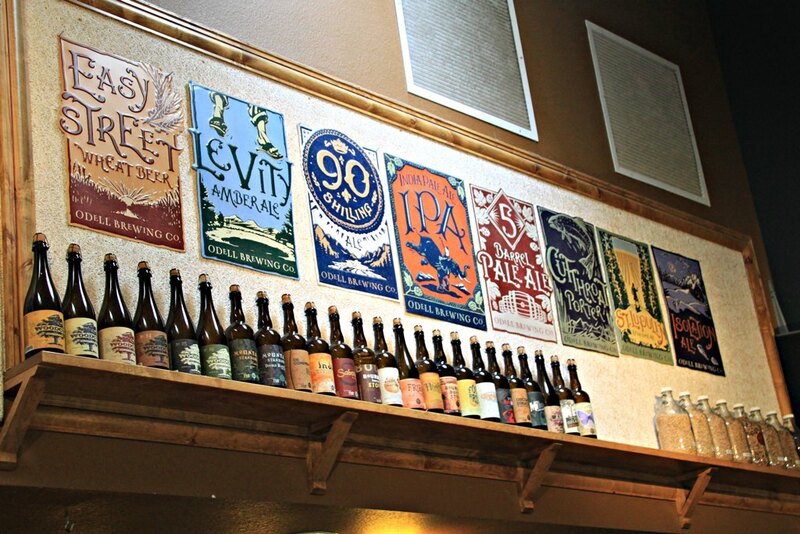 The first was Pateros Creek Brewing Company. The name is interesting because there isn’t a Pateros Creek. However, local historians claim that was the original name of the Cache la Poudre River that runs through Fort Collins today. 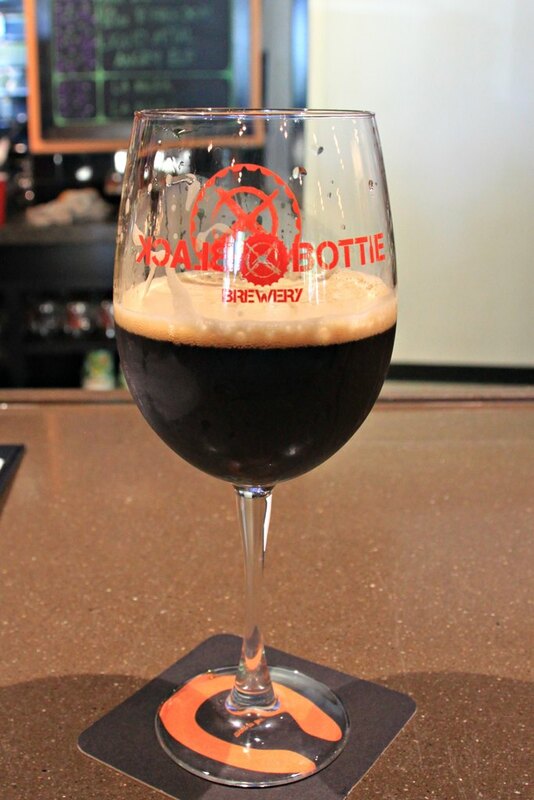 So, it made sense to us to have a pint of their Cache la Poudre Porter, although it made even more sense because that’s the one we both liked the taste of best. After the brew we walked two blocks over to the restaurant, Enzio’s Italian Kitchen, who advertises $5 pizzas during their happy hour. 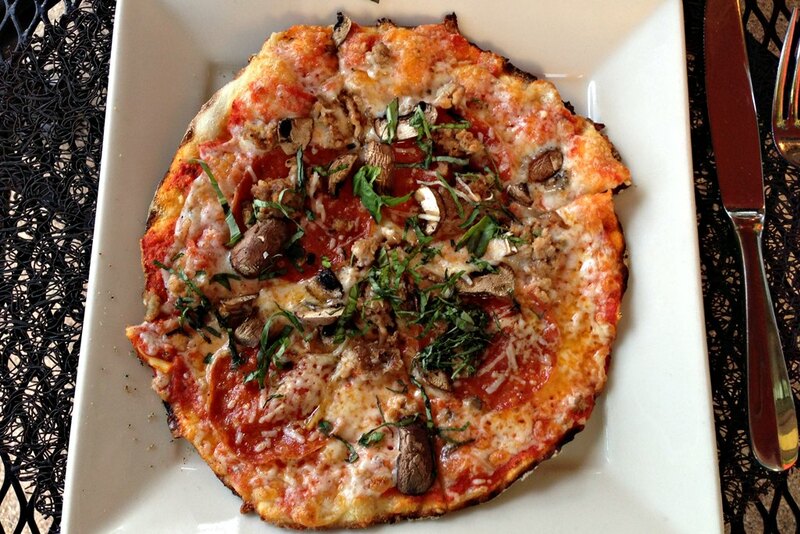 The thin crust and appetizer size was just what we needed for a snack before the next brewery, Equinox Brewing, which again was just a short walk away. They had quite a selection of beers that I would have liked to sample but their flights were fixed to only specific ones so I went with their Red Dwarf Amber Ale and Karen chose the Eclipse Brown. The place seemed kinda laid back and quiet when we first arrived but got progressively busier and louder as our beers diminished. Once they were gone, so were we. So many breweries, so little time. Really. There were two more that I wanted to try and we had another day to get it done. First stop, Black Bottle Brewing. I had seen their website and they had a great selection of guest beers as well as their own. 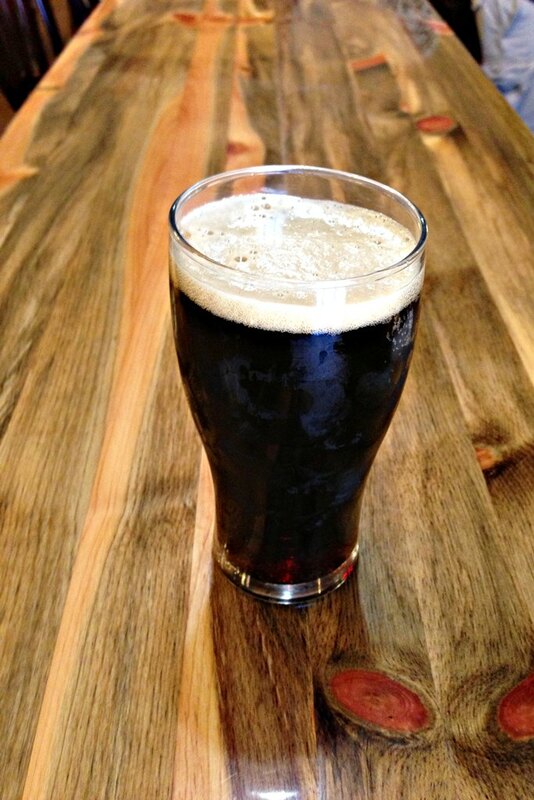 The one of theirs that had my attention was named Anarchy Porter – Hold the Government. Karen stuck with the sample size and although mine was only a 10-oz. serving, it was enough but quite good. Eating between breweries worked out pretty good for us yesterday and the craving for chips and salsa led us to Las Tarascos, a Fort Collins Mexican restaurant with great reviews on Yelp and TripAdvisor. 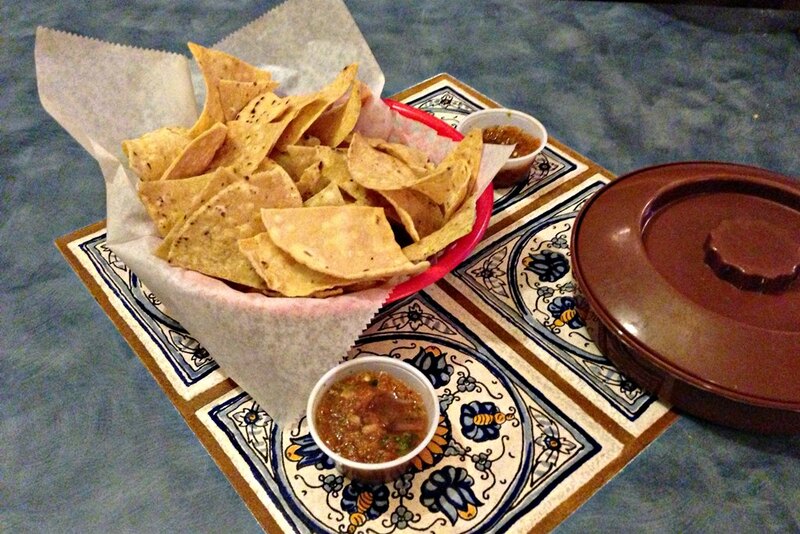 They have a self-service salsa bar with a dozen salsas but we narrowed down the best roasted red salsa pretty quick and really, really enjoyed the house-made tortilla chips and corn tortillas. After the enchilada dinners, it was time to head down to Loveland and on the way to Grimm Brothers Brewhouse we got to drive by my parents’ house. The new owners have done a great job keeping it up. It looks great. 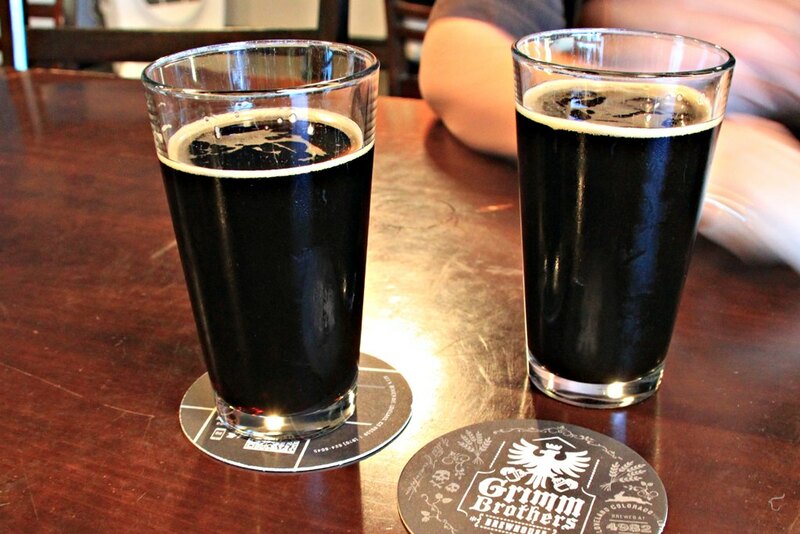 Grimm’s most interesting beer was called Willow’s Wren Erntebier. 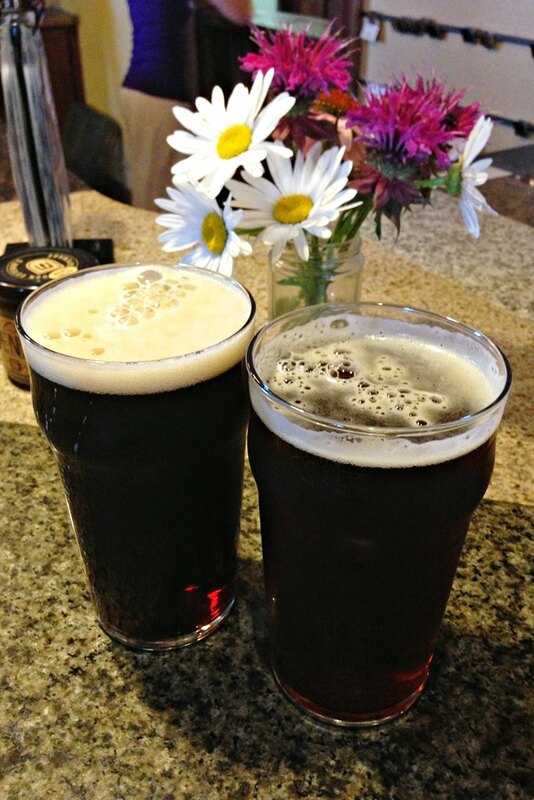 I’ve never heard of an erntebier but it was a very dark, light-bodied German style ale and it was really pretty good. We both had one before heading back to Jake and Peggy up there in Wellington. 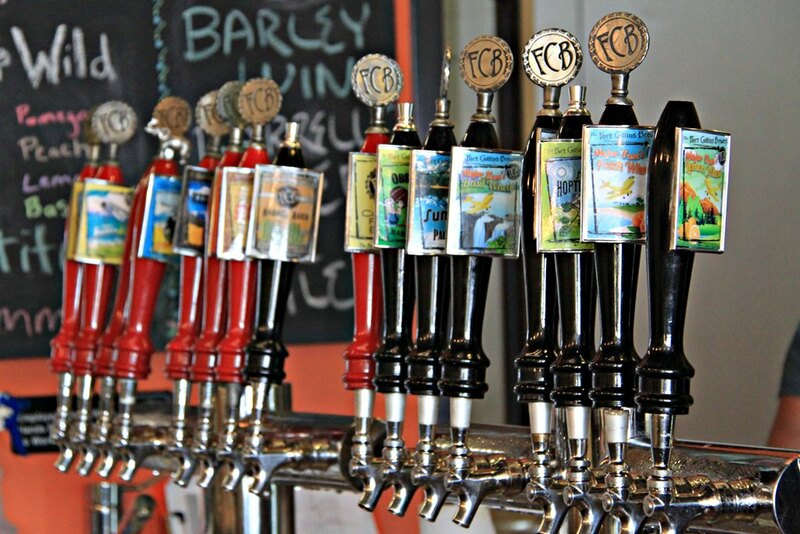 This entry was posted in Beer, Colorado and tagged Beer, Breweries, RV, Travel. Bookmark the permalink.